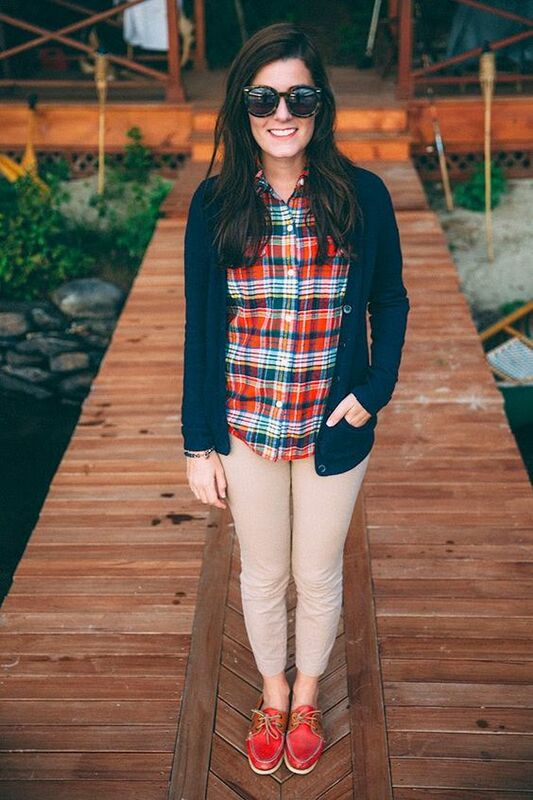 Embrace cardigans! This is a perfect piece for almost any kind of looks, from work to grunge ones. 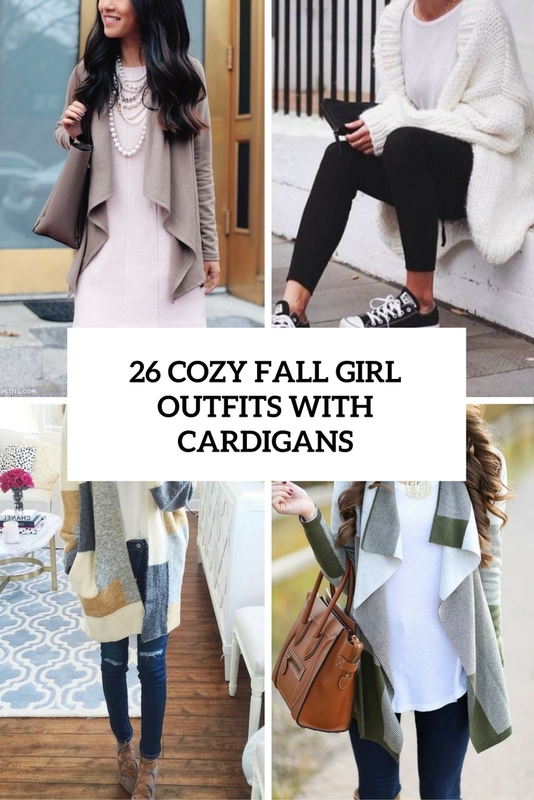 A cardigan can be worn with almost any clothes: skirts, dresses, jeans, pants, leggings and everything else that comes to your mind. It always gives you a feeling of comfort and warmth, so I just can’t imagine a more indispensable thing in the fall and winter. 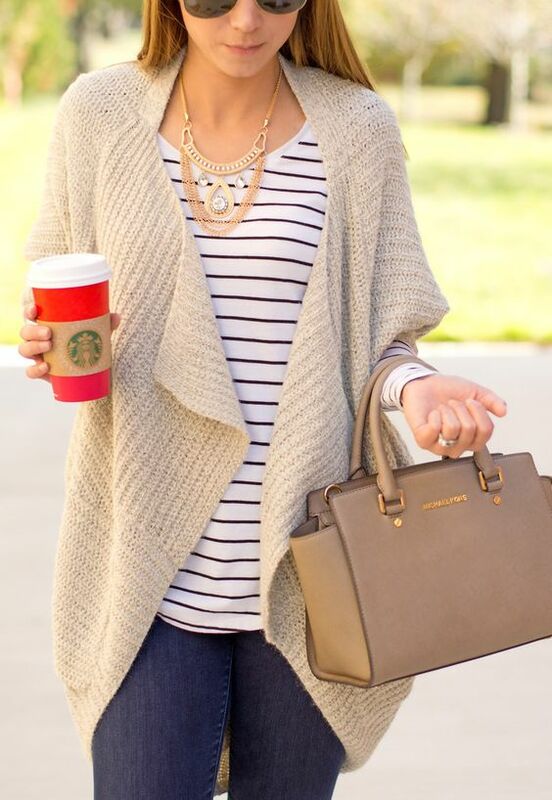 How to wear a cardigan to look trendy? Let’s have a look. 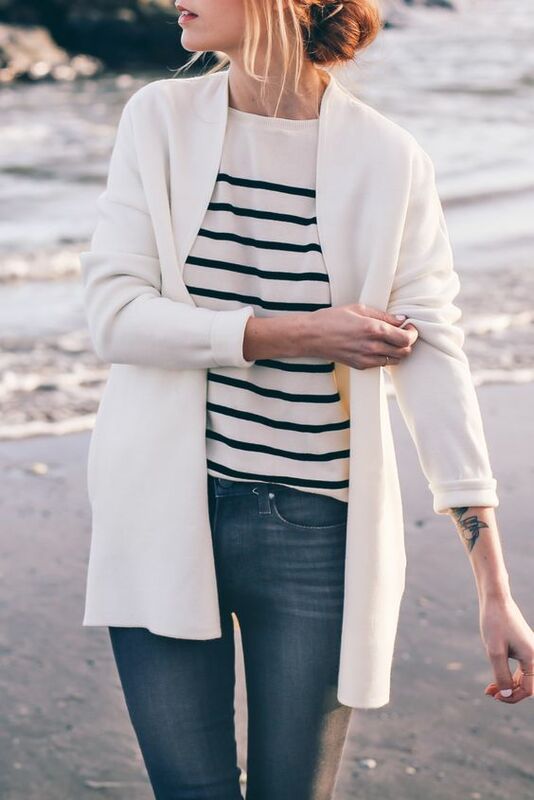 A traditional cardigan is a great idea for casual and work looks, a pair of jeans and a white tee is basics for wearing with a cardigan, and you can also add a blanket scarf. Try bold colors and textures, for example, chunky knit cardigans, pair them with leather leggings and black pants to create a cool look for work. 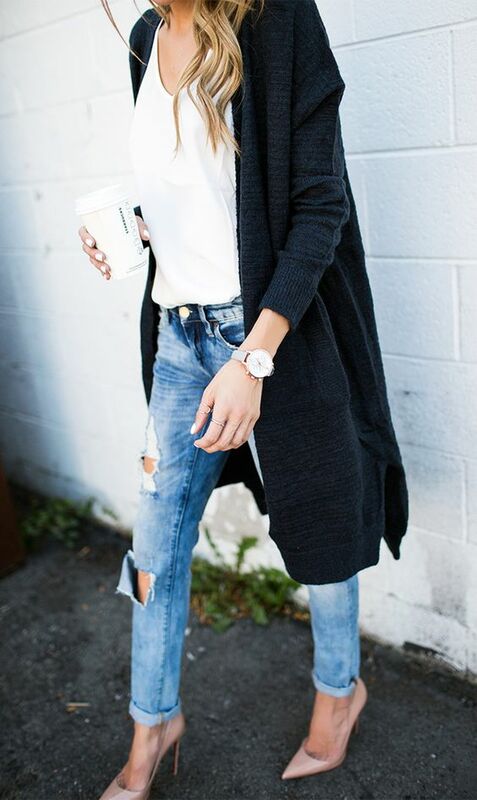 Long and oversized cardigans are one of the hottest trends now, and you can pair them with almost anything. Try them in olive green, grey, white, ivory or burgundy to highlight your fall look. Pair a long cardigan with a dress and ankle boots to achieve a girlish look. 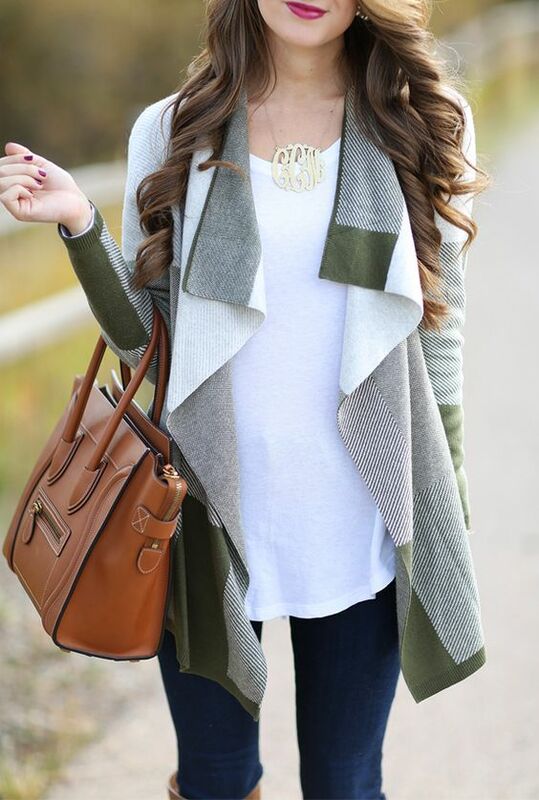 Drape cardigans are fashionable now, they look very original and match both casual and work looks. 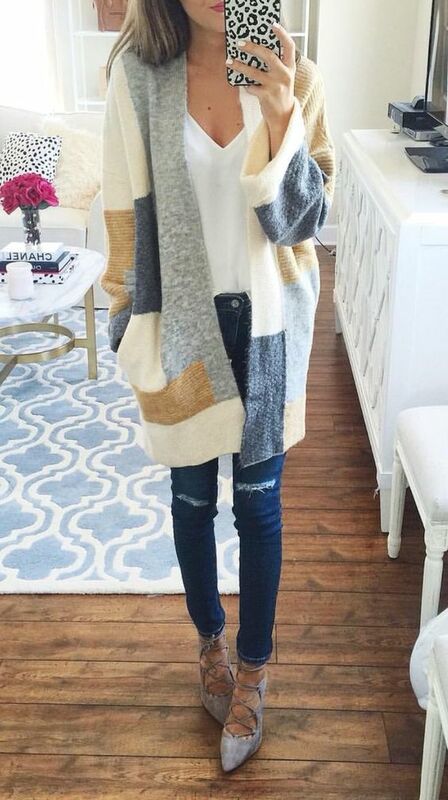 Oversized cardigans bring an incredible feel of warmth and coziness, you just won’t want to take it off!